Safestore Coventry is on the A444 dual carriageway itself (Jimmy Hill Way). If you're driving to the store, stay on the dual carriage way and you'll find the store in Cyan Business Park, opposite Frederick Bird Primary School and adjacent to Tallon International. Security is paramount at Safestore and each room is covered by 24 hour recorded CCTV and intruder alarms making it a safe and secure store throughout. There are a wide range of room sizes available for you to choose from. 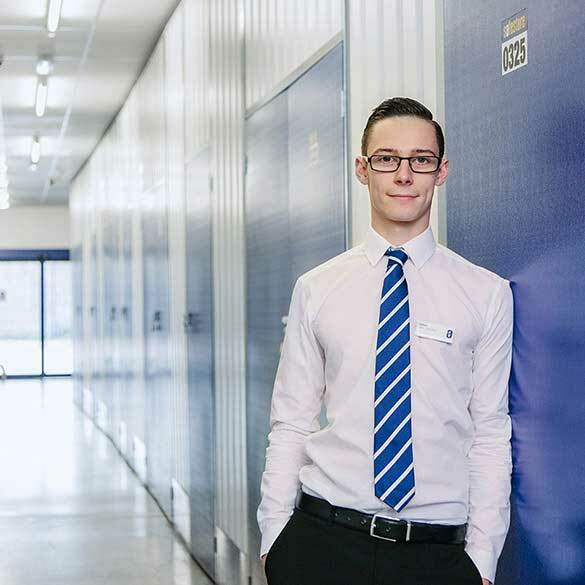 So if you're looking for safe, secure and affordable personal, business or student storage in the West Midlands area, then we're here to help. Give our store team a call today or get a quote above now. We have a range of storage solutions at Coventry Safestore, whether you are moving house or just need some space to store your things. Use our storage size tool to help you decide what you need. Get 50% off storage for up to 8 weeks at Safestore Coventry with no minimum stay. Offer available at all UK Safestore centres. Get a storage quote at Safestore Coventry today and reserve a unit for free. When you move in we won't need a security deposit either. Get 20% off at Safestore Coventry if you agree a stay for longer than 12 months. Terms apply. At A Gentleman and a Van Removals we aim to provide the people and businesses of Coventry and Warwickshire with a punctual, professional and stress-free removals service.